A multimillion pound project in Rotherham is set to generate an environmentally friendly form of energy and 140 new jobs by 2017. Operators, the Brite Partnership, secured planning permission in 2010 for a biomass development at the Firth Rixson Ickles Works at Templeborough where land and disused buildings where purchased in March 2011. The plant that will generate heat and power from carbon-neutral renewable wood pellet fuel. Following a financial review of the project, the plans for wood pellet manufacturing capability has been increased from 200,000 tonnes per annum (tpa) to 350,000 tpa as a result of increased demand from potential customers in the coal-fired power generation sector. 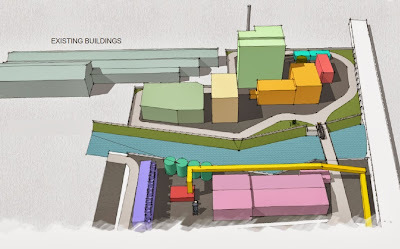 Plans for a liquid biomass combined heat and power (CHP) plant were removed as they are no longer financially viable so the capacity of the planned biomass CHP plant on the site has been increased. Burning recycled waste wood will produce steam used to generate about 44.1MWe, the majority of which will feed into the National Grid. The output is greater than E-On's 30MWe plant at nearby Blackburn Meadows. Timber pre-treatment activities will be undertaken on land on the Shenker rail sidings site with a conveyor system set to take the wood pellets over Sheffield Road to the CHP plant on the Firth Rixson site. The timber debarking and chipping plant on the Shenker site will require 40 full-time staff, in addition to the further 100 required on the Firth Rixson site. Infrastructure and support services business, Stobbart Group, has announced that it has signed a major biomass supply contract that will see them supply and transport 5.2 million tonnes of waste wood to the Templeborough plant over the term of the contract, which starts in 2017. The index-linked contract will see Stobart transport 260,000 tonnes per annum over the next 20 years. The Brite Partnership was formed with the sole purpose of developing projects for the production of green energy, and operating them as a viable and sustainable business. Brite has said that it has the support of the UK Government's Green Investment Bank for the Rotherham project and has selected a contractor for the build. The partnership expects to expand in the coming years with similar projects throughout the country. The Rotherham project has secured environmental permits and numerous planning permissions throughout the process as operational requirements changed. Full planning permission was secured last year and it is expected that the project will achieve financial close in the next two weeks. Financial close occurs when all the project and financing agreements have been signed and all the required conditions contained in them have been met. It enables funds (e.g. loans, equity, grants) to start flowing so that project implementation can actually start.